Flower photography is probably the most explored area of amateur photography, but the results for many people are never in touch with what they saw. Today, we'll show you how to get the best results. This article should give you the basic understanding of what can be done to get pictures of flowers that will be envied by your friends. It is assumed you already know how your camera works and how to expose ro get decent results. 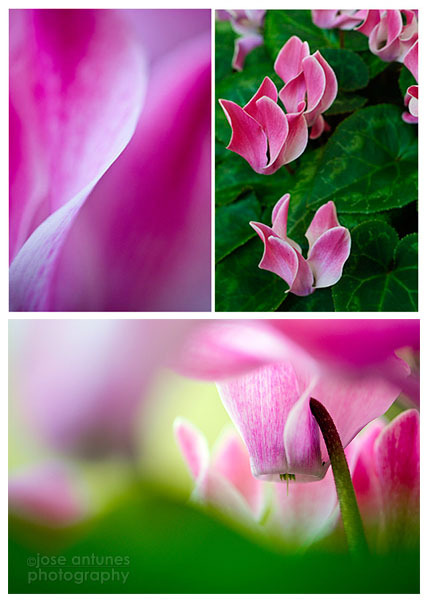 If you follow these easy steps your flower photography will change for the better. Let's begin! We all know that exposure needs to be right (whatever that means to you), and that windy days are not the best to go out and photograph flowers, unless you want to get some special effects. Photographing when there is a thin layer of clouds softens the light from the sun, although sometimes you can use a diffuser to control contrast and make sure you get the best colors. These are some of the basic tips to remember. Some people will also suggest that you need a tripod to photograph flowers, something that should be taken with a grain of salt. I prefer to say that sometimes you may need a tripod, but not all the times. 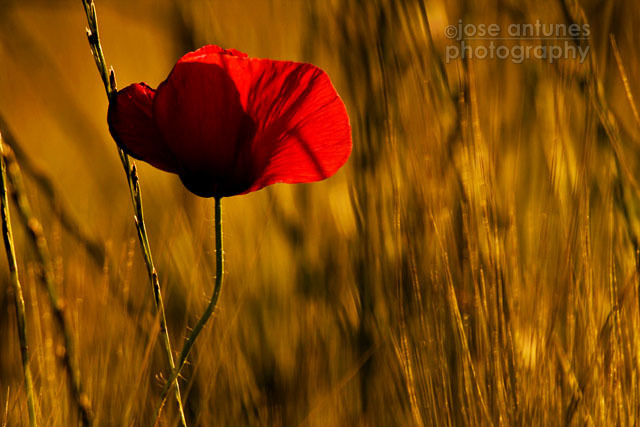 Much of my flower photography is a good example of what can be achieved without a tripod. Remember that rules are not always to be followed. After all, photography is a creative endeavor. Now that we've set the ground rules, let's look at some essential tips. The first thing people tell me when they see my photographs of flowers is that my DSLR makes them possible. They're wrong. You do not need to have big cameras to make nice photographs of flowers. I've photographed flowers for my collection with everything from full frame DSLRs to compact cameras. Let me say this: I prefer DSLRs, but it's not the gear that is important. It's the photographer. Compact cameras are good for photographing flowers, and some of them can focus so close, you'll beat out the DSLR photographers that need to spend lots of money in macro lenses to achieve the same effect. I carry a small compact in my pocket all the time. Most modern compact can focus on things just a few inches away from the lens. Some days I take a Micro 4/3 with me, and it never stopped me from getting the shots I want. You just have to adapt to the gear you've, because your best camera is always the one you have at the moment things happen! 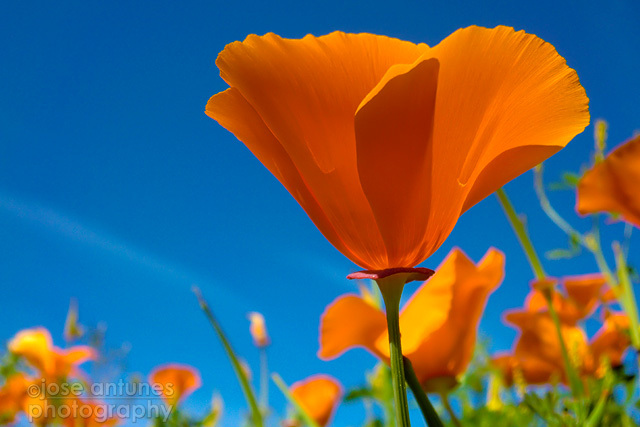 The picture above, of a California poppy, taken at the roundabout of a circular junction, was made with a cheap compact camera. I just stopped the car close by and went on to photograph it, surprising the drivers passing by, as they saw me lying on the ground. I did it because I wanted to take a picture that was different from what most people do. One of the most important things to remember is to change your point of view. As I am a frequent visitor to public gardens and other places with flowers, I see how many amateurs photograph flowers: they come close to it, look down from above and shoot then they move on to another subject. Wrong move! Getting down on your knees shows a different perspective of the world, and opens a new horizon for your flower photography. To really photograph flowers you can not just take a snapshot and go away. Try to sit down at the level of the flowers and really look at them. It’s when you sit and watch that you discover more than the casual photographer does. You'll start to really see. Photographing flowers is a good excuse to meditate. Sit down, try to find a spot away from people (if it’s possible) and relax. Don’t grab your camera and start shooting immediately. Take your time to sense the odors, examine the structure, colors and shapes. Look around and try to spot a few possible images around you without moving from the same place. That works for me. Visualize possible framings and how it will all come together in the end. Start playing with the lens you want to use. Explore it to understand how to achieve different results. Forget the full automatic programs and choose one that lets you control your aperture. It is crucial for flower photography. Find how close you can go to the flower. Every lens has a different minimum focusing distance. Compact cameras are excellent in this area because they let you go very close, so close that sometimes you just get a little bit of the flower. Do it, sometimes less is more. You don’t need to have the whole flower in the frame to tell people what you want. 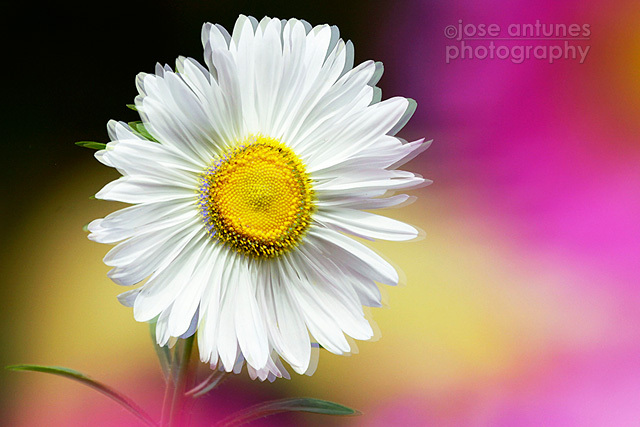 People will many times associate a macro lens with flower photography, but it does not always have to be so. 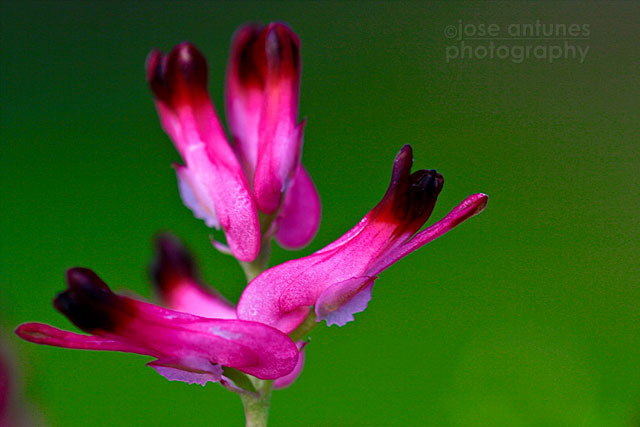 In fact, my favorite lens for flower photography is a 100-400mm lens used at the longer end of the zoom. I like the way it renders flowers and backgrounds, easily separating the subject from the rest. 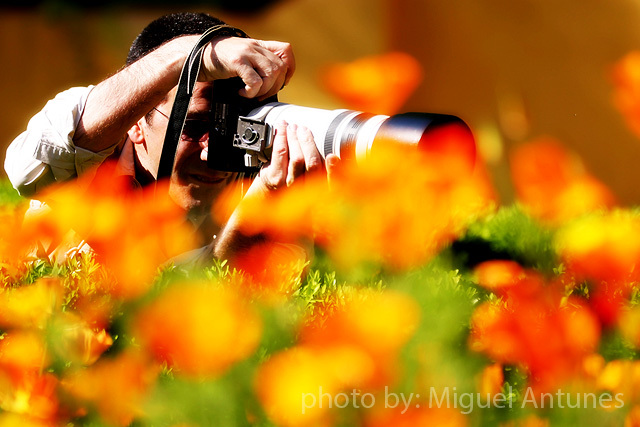 Me and my favorite lens for flower photography shot "at work." 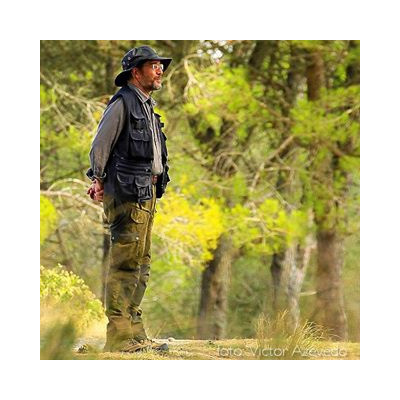 This picture is by my older son, Miguel Antunes. Most of the time I do not use a tripod, so, I need to use a high shutter speed, and that means a wide aperture, as I try to stay at low ISOs, mostly 100-400 ISO. In fact, I rarely try to have the whole flower in focus, so it does not matter. I always try to photograph from an angle that gives me a fairly good plane of focus on the best angle of the flower, and that's all I have to care about. 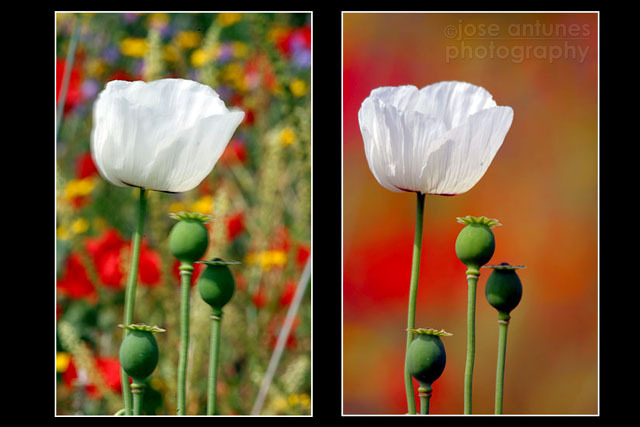 Pictures like the one below of a white poppy in a field of poppies only work if you can keep the background out of focus. The distance from your main subject is crucial, as well as aperture and the lens in use. Longer lenses compress planes of focus and are excellent for this. Working close to the flower also helps. 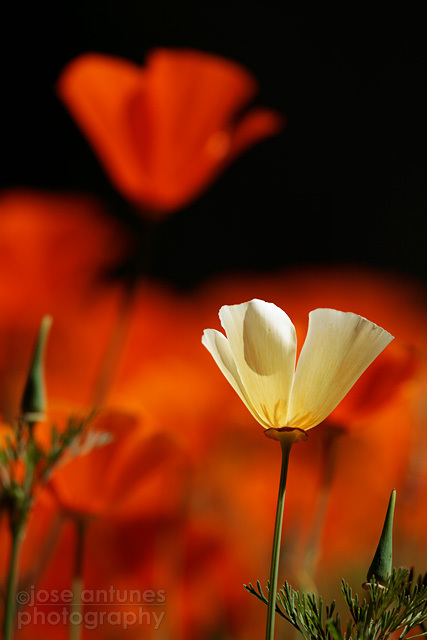 The aperture used is paramount in flower photography. Always check the aperture you're using and use the option to preview the depth of field if your camera has it. It is at times like this that I love the effect my 100-400mm zoom offers me. As long as my subject is against a background that can be thrown out of focus, results like this one can be achieved. From my experience, though, sometimes there is no way to get everything in balance, and then I give up and look for another flower that might fill all the conditions needed to get the picture I want. Using a background that has a different colour than the main subject helps to define what is important in the picture, and in these situations the solution for what could be a busy background is achieved another way. Kneeling or even lying on the ground will help you to find all these relations between the main subject and the environment that otherwise would not be perceived. I always tell students in my workshops to follow the "peel the onion" approach when it comes to photographing flowers (and other themes too). I rarely shoot a single photo of a flower or a series from just one angle. I can start by doing the photo that attracted me first, but then I go back to general views and move towards getting more detail again. From my experience I've found that the more you stay with a subject, the more you can discover about it. "Peeling the onion," which means methodically removing each layer of the onion, is a good working solution when you are facing a subject you feel has potential, but you seem to not be able to get a good picture of. Slowly moving from general shots to more intimate images helps to, eventually, reach a moment when everything fits in place and you get your picture of the day. Again, remember that with modern cameras, mainly compacts and some "mirrorless" systems, you can get rather close with the kit lenses, so there is no reason to envy DSLR users and their macro lenses that cost much more money! 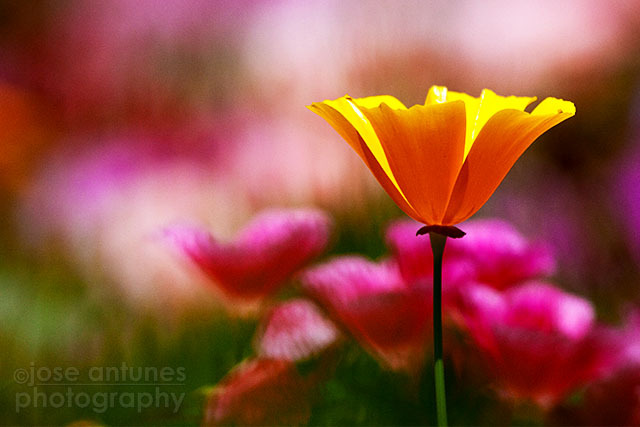 When photographing flowers, many of us want everything in focus. When you get everything in focus, you often get a messy image. With flowers it is wise to keep them separated from the background, unless you're looking for a specific result. You have various ways to do this: use a macro and/or a long lens, open the aperture and go around the flower, as a hunter does to its prey, to check if there's a better angle to shoot from. Don't shy away from trying different solutions and accept that sometimes it is better to give up and look elsewhere. Armed with these suggestions – and the hint of the photographs published with this article – I bet you’ll soon be taking home very different photographs of flowers. Look carefully at my images and you'll learn a lot. I know, because I've done the same looking at the work of photographers such as George Lepp, famous for his California poppies images and tulips. I learned a lot looking at his photographs of flowers and trying to apply the same techniques to my work. I do not think there is anything special, a hidden trick, to make pictures like I do. I have common gear. I usually shoot with a Canon EOS 50D, although I have access to other equipment. My most important tip when it comes to photography is time. Take the time to be patient, sit down, listen to the flowers. I even talk with flowers everywhere I go. This image is a composite of two images shot sequentially. There is little movement between shots, taken at different exposures too, for a kind of HDR result with some softness mixed with good detail. 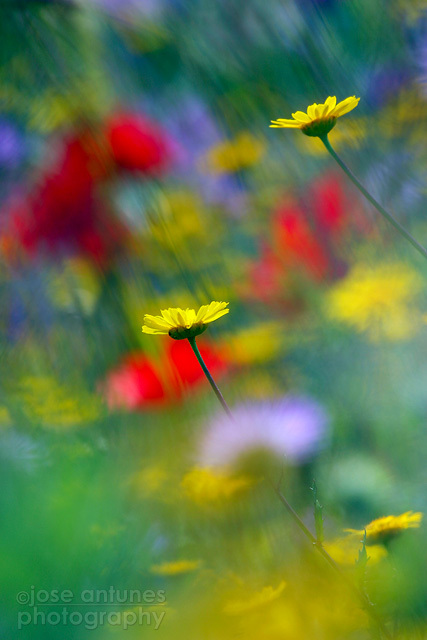 Flower photography is not a mechanical thing. 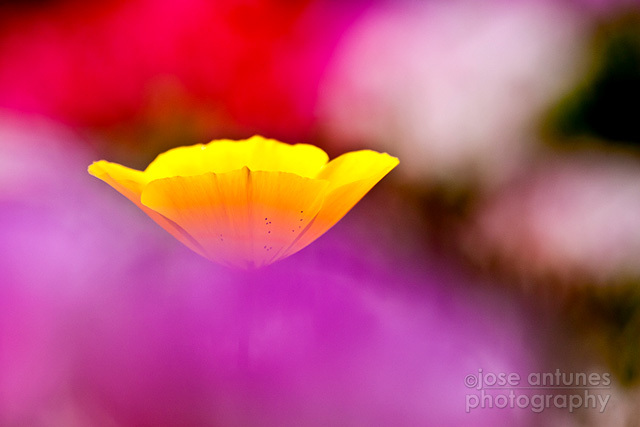 Once you understand how light works, flower photography is the result of sitting and watching. And waiting. And returning over and over to the same spots. My pictures are examples of that practice. Now go and try it for yourself.